The Imaginations Through the Looking Glass DVD has gone gold in Germany! 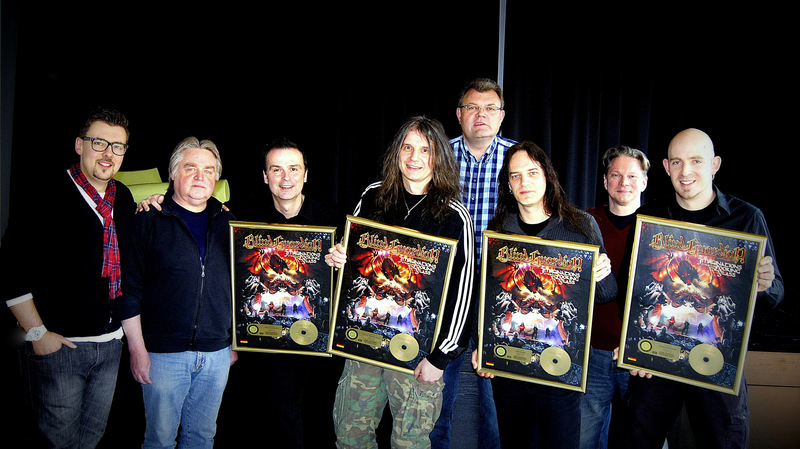 The whole band would like to express their sincerest thanks to the over 25,000 German fans who purchased the DVD and made this achievement possible! 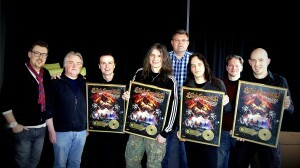 A video of the gold album ceremony and a short interview with Hansi (in German only) can be seen HERE and below is a photo of the band together with the EMI team (photo credit: EMI Music Germany).